Laguna Hills, CA – February 4, 2019 – Mazda is recalling 2016-2019 MX-5 Miata sports cars with automatic transmissions. The recall is expected to affect approximately 14,370 model year 2016, 2017, 2018, and 2019 Mazda MX-5 Miata sports cars with automatic transmissions manufactured over the four-year range. According to Consumer Affairs, a software problem in the transmission can cause an unexpected downshift, which may cause the vehicle to slow abruptly. In affected vehicles equipped with automatic transmissions, electrical noise in the range signal can occur while driving in “D” range, including in instances when the vehicle is being operated by the driver in “Manual” mode. This electrical noise may be detected by the clutch control software in the Transmission Control Module (TCM), and, due to inappropriate control logic of the software in question, the signal noise may cause the vehicle to unexpectedly downshift. A downshift mid drive can cause a sudden and rapid deceleration of the drive wheels. An abrupt decrease in the speed of the drive wheels while driving is hazardous, as it can negatively affect the directional stability of the vehicle. This hazard both increases the risk of a driver losing control of the vehicle which could ultimately lead to a crash and injury or even loss of life. 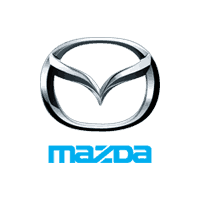 According to a Mazda statement, Mazda North American Operations has therefore filed a Defect and Non-Compliance Information Report with NHTSA regarding a safety concern with certain Model Year (MY) 2016-2019 Mazda MX-5 Miatas. The NHTSA has not yet provided more details on this recall or the sequence of events leading to the announcement. Dealers will update the transmission software in affected vehicles at no charge to owners. Owners can call Mazda at 800-222-5500. The automaker is anticipated to begin notifying owners of affected vehicles by March 29, 2019. Owners may also contact the National Highway Traffic Safety Administration Vehicle Safety Hotline at 1-888-327-4236 (TTY 1-800-424-9153), or go to www.safercar.gov.